The round valued Xiaomi at $45 billion, Lei Jun, the founder, said in a post on his verified account on Weibo, China’s Twitter-like messaging service. At that level, Xiaomi, which last summer claimed the No. 1 position in China’s smartphone market — the world’s largest — is now worth much more than household technology company names like Sony or Nokia, and nearly as much as Yahoo’s current market value. Xiaomi, which was founded in 2010, has overtaken both Samsung and Apple in China, becoming the world’s third-biggest smartphone maker along the way, by offering cheap, high-quality phones through clever online marketing campaigns that appeal to China’s growing ranks of young and affluent consumers. Around 500 million smartphones are expected to be sold in China in 2015, more than three times as many as will be sold in the United States, according to the research firm IDC. Xiaomi’s latest round of fund-raising includes investments from All-Stars Investment, an investment fund run by Richard Ji Weidong, a former Morgan Stanley analyst, Mr. Lei said. 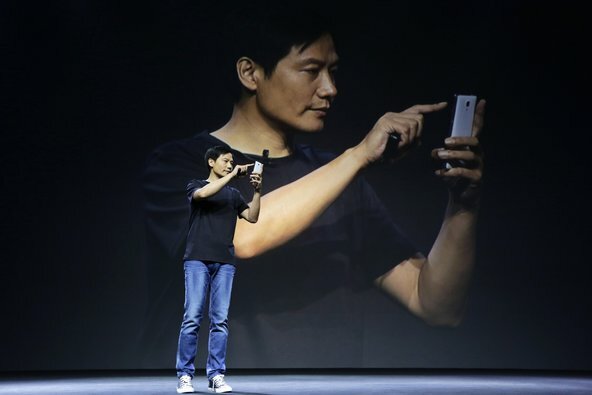 In China, Xiaomi has been compared to Apple — and not always in a flattering way. But the start-up smartphone maker’s fast growth, competitive pricing and innovative marketing have struck a chord with Chinese consumers that the company hopes will translate into success in overseas markets, too. Mr. Lei and his co-founders, who include the former Google executive Lin Bin, Xiaomi’s president, are considering expansion into large developing markets like India and Brazil. But the challenges abound. For example, Xiaomi lacks a large patent portfolio of its own and was temporarily blocked this month from India because of a patent compliant filed by Ericsson, the Swedish maker of telecommunications equipment. But at $45 billion, the latest, rapidly spiraling valuation of Xiaomi is likely to raise expectations among investors for an initial public offering, which investment bankers are already maneuvering to help manage. Company insiders, meanwhile, have said Xiaomi is probably still years away from an I.P.O.